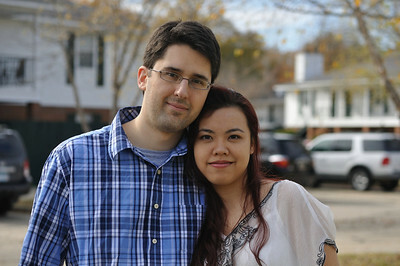 We're a married couple from Baton Rouge, Louisiana and Nanjing, China by way of Metairie, a New Orleans suburb. We met at Louisiana State University. We lived in Monroe, Shreveport, and Metairie while Tina was pursuing her Doctorate of Pharmacy from the University of Louisiana at Monroe. We now live in Kansas City where Tina is completing a clinical pharmacy residency in hematology/oncology. Jude is a software developer.